How well do you know your oogly? Myrna Minnis has been teaching children the art of her magical clay creature known affectionately as “oogly” for over twenty years. 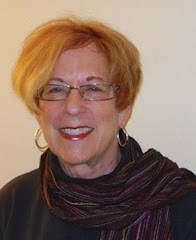 In Myrna’s workshops, children learn to create a basic oogly, then Myrna gives them free reign to embellish and customize to their heart’s content. Under her tutelage, literally thousands of ooglys have been created, each unique to its young artist. Early on, Myrna saw just what a powerful communication tool the oogly can be. The curious, undefined creature, created in the tactile medium of clay, gave children a new voice to use. With oogly, children could create art which expressed their ideas and feelings that they could not put into words. oogly' therapeutic benefits are immediately apparent when a child makes their first creation. Kids of all ages love it. Special needs children, such as those with autism, become more expressive. A frustrated child can pound and work with the clay, experiencing a calming effect that gives way to creating an oogly sculpture. Shy children unleash, becoming expressive and uninhibited. Myrna wanted children to take this magic home, so she began selling oogly kits with a unique non-drying clay and tools that help kids create oogly’s distinctive features. But oogly is much more than just a clay kit – oogly is a valuable concept. She needed to find a way to communicate this concept to the new oogly owners. So Myrna went to work on a vibrant, idea-filled booklet to help unlock the imaginations of children so they can experience the oogly to its fullest potential at home. oogly emerges as a friend, a playmate, and a confidant. oogly is full of ideas, ready for adventure, and can be whatever the child wants oogly to be. 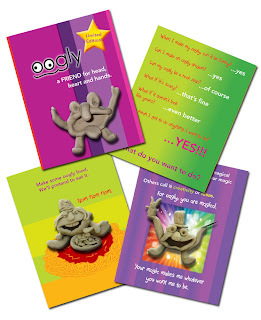 After reading the oogly booklet, parents and children alike understand how to tap in to oogly’s magic. The booklet was designed with a broad age range in mind. Children of any age will be creatively inspired. Younger children will ask to read the booklet again and again. Parents will love the oogly art their kids create, and they’ll be amazed at what they can learn about their own children through oogly. Happy Earth Day! Celebrate with Clay! This Sunday, we will celebrate our planet and show our concern and appreciation for the earth’s natural environment. One of the most earth friendly ‘toys’ for children is clay. 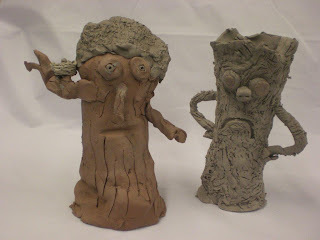 When your children pull out their clay to play, why not give them a little education about it. 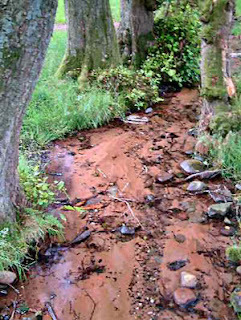 Clay is actually bits of earth, that over time, is carried from one place to another by water and deposited in areas where the water slows down to a trickle. If you have ever gone digging by the water’s edge, only to grab a handful of muck, that muck is clay. As the bits of earth travel with water, they pick up all kinds of tiny rock and sediment, but by the time we pick up our box of clay from the store, the muck has been cleaned and refined so it is ready to use. 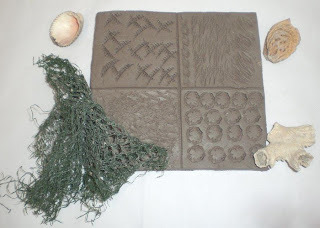 Even though the clay our kids play with is smooth, they will delight in experimenting with different textures. Understanding how a textured surface produces an imprint can be an aha moment for a child as they press an object. One experiment fun to try is to use the end of things, like markers, caps and even a cinnamon stick, to press texture into clay. Go in the garage or show your child your workshop or tool chest and let them press interesting objects into clay. Even better, go on a nature hunt outside to find different materials. If you are looking for an easy clay project to let your kids experiment with textures, just create simple clay tiles, divide them into four squares and have kids press a group of objects onto the tile. You can make a theme, like seeds, leaves or shells. Or you can let it be more free-form and have them bring whatever they might find in the house, their toy box or the yard together to try. The right texture can make trees with great looking bark and lots of attitude. Then, you can talk about what the textures remind them of - the scales of a fish, the bark of a tree or the hair of a shaggy dog. You can use texture to create all kinds of animals … let your kids imaginations soar. Give it a try! And give thanks to the earth for our clay! Send the kids on an oogly Easter Egg Hunt! A Scavenger Hunt That Will Delight All! 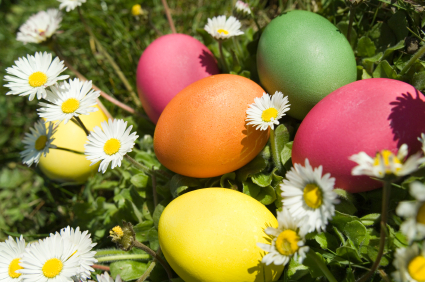 How about putting a twist on the traditional Easter Egg hunt this year? Children love to search for treasures so why not make the hunt for ‘special’ eggs more than just a mad dash! Instead of racing to find the most eggs, send your children on a search for the hidden Easter basket of treats. Start by numbering the plastic eggs that will hold your clues (you can use stickers or a sharpie pen and 6 eggs). If you have some clay, have your child make an oogly bunny. Tell your child that oogly is going to hide an Easter surprise and to find that surprise they must first go on an egg hunt to find the oogly bunny. Hide the basket of treats, then write the clue to its location and place it inside egg number 6. Next, find a spot for this egg, placing the oogly bunny right next to it. Write a clue to its hiding place, and put that in egg number 5. Continue in this fashion until you’ve hidden all but the number 1 egg, then hand this egg to your child to begin the hunt. Happy Hunting and Happy Easter! oogly fun with March Madness! The Final Four Marches In! Who does oogly pick to win? This weekend four different basketball teams’ mascots will have the opportunity to bring home a win – who will it be? A cardinal, jayhawk, buckeye or wildcat? Who does your oogly represent? Maybe you are a diehard basketball fan and have overloaded your brain with bracket picks and endless watching of games or maybe you have opted for anything but another game involving an orange ball. Whatever strategy you have for your 2012 NCAA Tournament, just remember March Madness is all about having some fun! For children too young to yet understand the whole bracket thing or for those adults simply not interested, why not check out the various mascots that represent the four teams now competing. Do you believe in the awesome power of avian creatures, or do you find yourself drawn to fierce cats? And which of the team colors to you correlate with victory, scarlet-and-grey or crimson-and-blue? Get oogly involved in the game this weekend – we’d love to see whatever team-winning spirit oogly chooses to favor. A bird or a cat donned in your favorite colors. Show us your pick – you just might be the winner!